Mo Farah (GBR) took 7 seconds off his British 10k Record to clock 27:43 and get a magnificent victory over world record holder and training partner Micah Kogo (KEN) and Chris Thompson (GBR) in the Bupa London 10,000m. The PACE trio placed 1st, 2nd and 3rd to complete a clean sweep of the podium. Doris Changeywo (KEN) placed 2nd in the women’s race to World Half Marathon Champion Mary Keitany (KEN). From the gun the PACE trio of Kogo, Farah and Thompson were to the fore. The pace was conservative through the first 5km passed in 14:09. After this Kogo and Farah moved to the front and gradually upped the tempo. Kogo tried to get away with 2km left but Farah stayed close and was able to outsprint his close friend in the last 200m. Farah’s time of 27:43 improved his British record from last year. Kogo, who has not training fully since a car accident en route to the IAAF Diamond League meeting in Doha was satisfied with his 27:45 with Thompson a clear 3rd in 28:15. “I knew I was in great shape coming into the race and I was confident …. My aim was to come out and run hard and if the pace was good just to go with it ….. I love London and I get loads of support – and with 200m to go I just went ‘boom’. 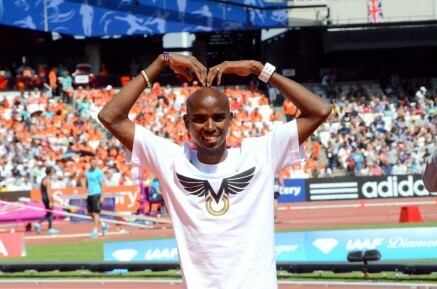 I’m now excited and looking forward to the European 10k next weekend.” Farah told reporters after the race.